Arrived in carpark had to drive around looking for empty spaces, around one way system several times. 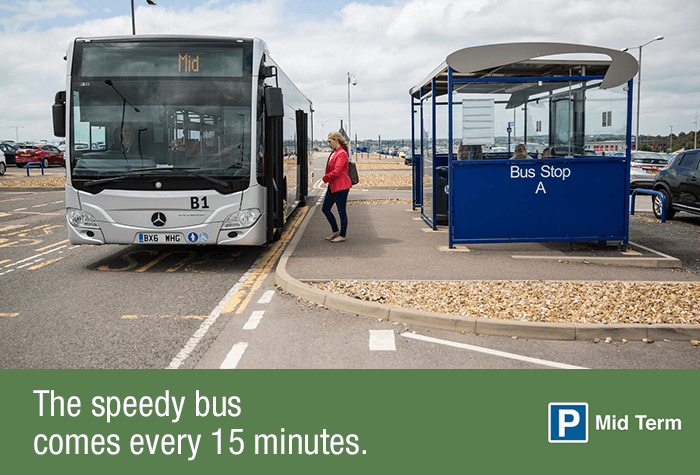 Only one coach in operating, which was very full. Standing room only, glad everyone was able to squeeze on. On return journey I arrived at pickup point to find coach on stand and gates closed. Waited 2 mins before the coach left. (Not sure why I couldn't have jumped on). Then had to wait 20-25 mins for return. Also did the same trick to another customer on the occasion I was on coach. All went really smoothly didnâ€t have to wait long for the bus. Parking was easy. Our customers rated Mid Term on average 9/10 (3333 reviews). Read Mid Term reviews. 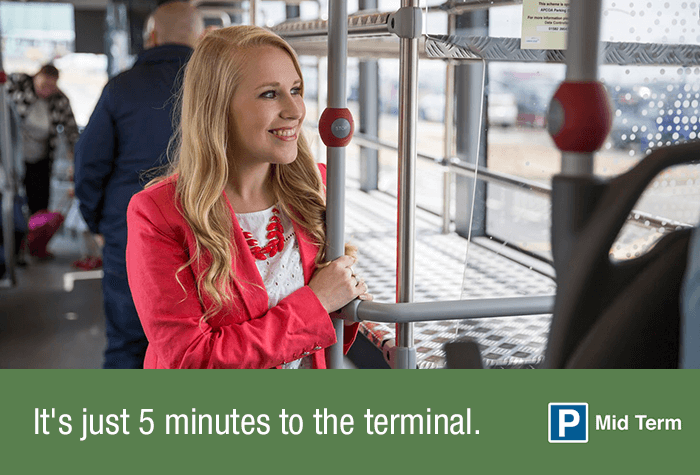 The Mid Term car park is a 5-minute drive from the terminal on the included shuttle bus. 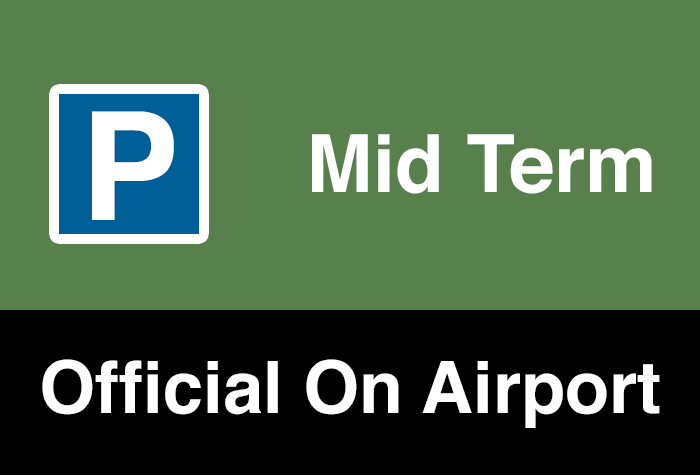 Mid Term is is located in the airport grounds, just 5 minutes from the terminal. To get to the terminal just board the included bus, which shouldnt take any longer than 5 minutes to get you there. 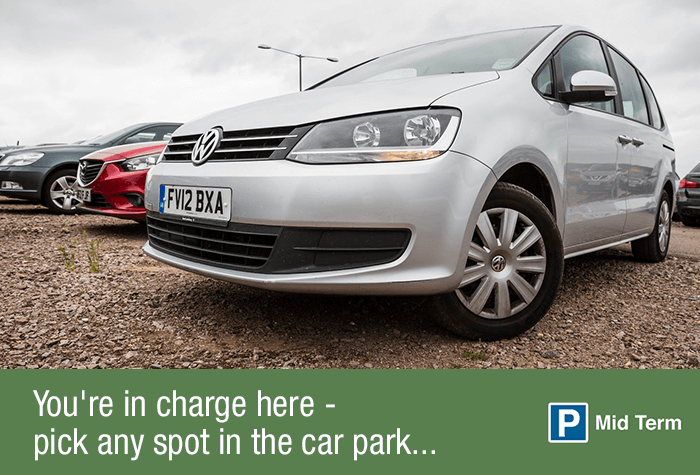 When you arrive at the car park, your car will be identified by the number plate recognition system so that you can enter through the barriers easily. Youll be issued with a ticket from the machine. 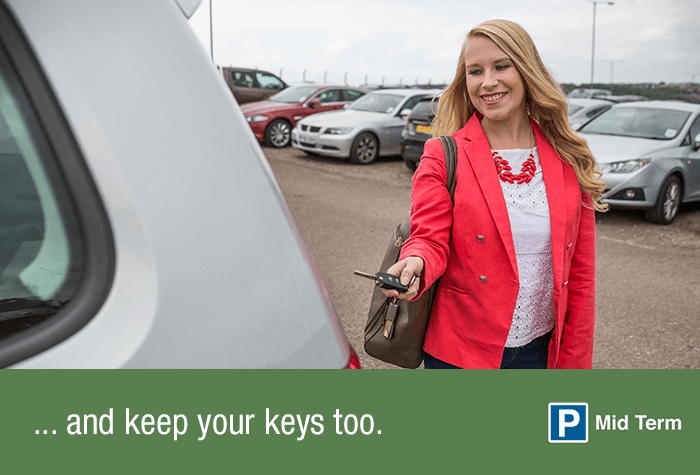 Keep it safe - youll need it to be able to get out of the car park. 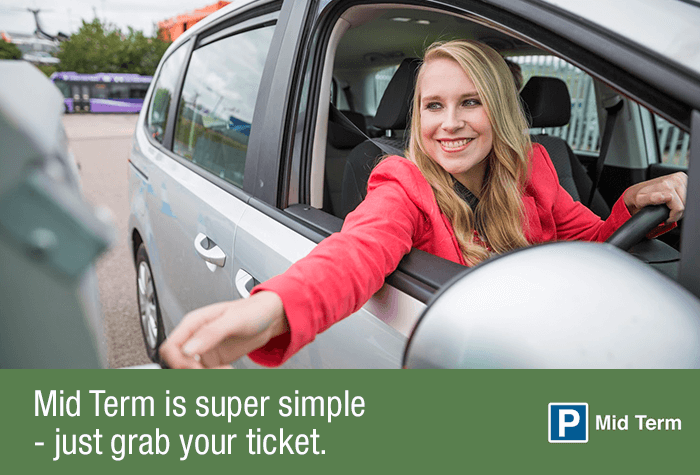 After you land catch the bus from the Mid Term Parking bus stop right outside the airport, and pick up your car. 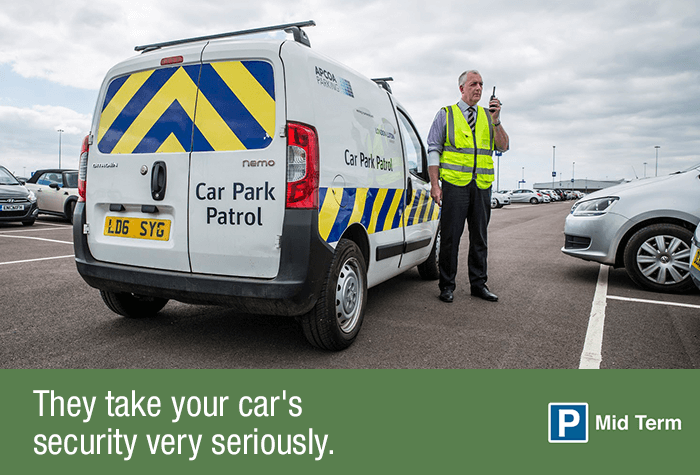 Find you car and drive to the exit barrier insert your ticket and the barrier will lift to let you out.